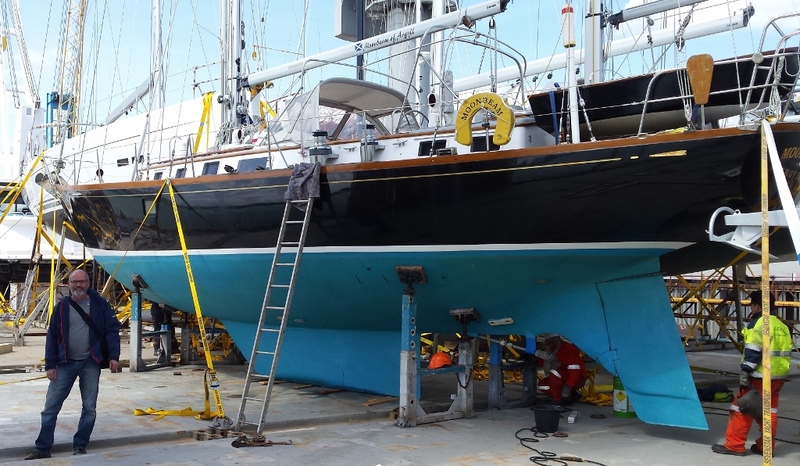 When David and Lynn Wilkie decided it was time for 'Moonbeam of Argyll' to find a new owner we were delighted they decided to use our in house brokerage service. Designed to 'cruise oceans, win races and be cruised by two people' the custom built McCurdy & Rhodes design had proven more than capable of all three during the 27,000 miles she sailed with the Wilkie's at the helm. Lying in the UK when bought by David and Lynn in 2000 'Moonbeam of Argyll' became a regular sight on the West Coast of Scotland after being brought home to Ardfern. 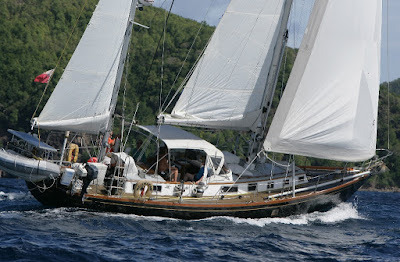 Following several years of preparation and the couples retirement she headed of for warmer waters and a 3 year Atlantic circuit in the summer of 2010. Having made the Atlantic crossing at the end of 2010 and spending two years exploring the Caribbean islands and Eastern seaboard of America 'Moonbeam of Argyll' once again crossed the Atlantic back to the UK in 2013; this time piggy back on a ship. Since returning to Argyll she underwent a mini re-fit through the winters of 2013 and 14 before heading off to circumnavigate Ireland during the changeable summer of 2015. Presented in excellent condition and with a full inventory optimised for short handed extended offshore passage making it was obvious she would attract a lot of interest from buyers looking to head off on their own blue water adventure no matter where they were based. We worked closely with David to compile a set of sales particulars as detailed as possible to ensure all potential buyers would engage with our suite of internet adverts; taking a virtual viewing of the boat in their own homes. After just 5 weeks on the market and a good level of interest from the off a seriously interested buyer came forward. Based in Massachusetts USA (and also called David!) the process was never going to be quick, over a 3 month period we worked with both vendors and purchaser to get the boat surveyed by a US based surveyor before getting all papers in place for her export back to the states. With the sale completed and her new owner at the helm 'Moonbeam of Argyll' slipped her lines early on the morning of April 15th and left Ardfern bound for Southampton and her 7th Transatlantic crossing and the 3rd of those to be piggy back on a ship. Enjoying a fine spell of weather the crew made quick passage South through the Irish Sea stopping only in Plymouth for a quick re-fuel and supplies arriving in Southampton after just 4 days. Through the technology of the social age we didn't only follow her on the AIS tracker but also received live progress updates from users on Twitter. Now loaded onto a ship and heading West to the United States we look forward to hearing from the new owner when she is safely docked in her new home. Christine Wood, making waves in a Topper.